SpaceNews reports on another fund-raising round by the Chinese launch company. 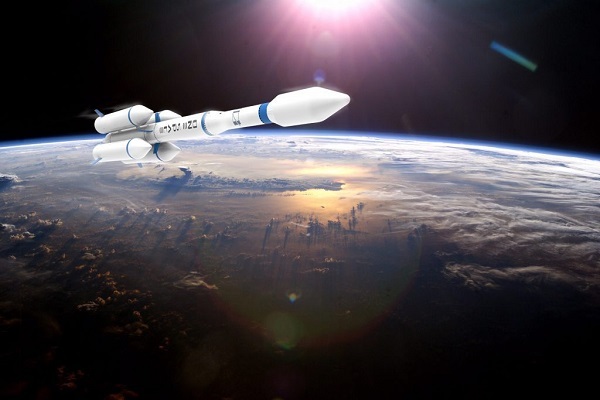 Chinese private launch vehicle maker OneSpace has secured $43.6 million in Series B financing as the company looks to its first orbital launch near the end of 2018. The financing was led by CICC Jiatai Equity Fund, followed by FinTrek Capital, with China Merchants Venture Capital, Qianhai Wande Fund and Qianhai Wutong M&A Fund also increasing their investment in the company. This fourth round of financing takes the total raised since the founding of OneSpace in August 2015 to $116 million. In May, OneSpace successfully tested its first OS-X suborbital rocket, with the 265-second flight reaching an altitude of around 40 kilometers, which OneSpace describes the as the first launch of a privately designed Chinese commercial rocket. That launch came after iSpace, another Chinese company, lofted a test Hyperbola-1S rocket from Hainan in April. It’s like a baby Long March!